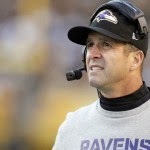 Advanced Football Analytics (formerly Advanced NFL Stats): Was BAL's Onside Kick Attempt Smart? As 53% is greater than 46%, in general, onside kicks are worth the risk when the kicking team has the element of surprise. The receiving team's tendencies are essential to the analysis, and the tactic is best as an option play depending on how the receiving team is aligned and whether they respect the possibility of an onside attempt. It appears the game was still somewhat in "normal football" mode at this point, as the WP and EP models were in relatively close agreement. Ultimately, coaches would like to see tendencies on the front line of the receiving team before trying a surprise onside kick. Without that kind of analysis, it's impossible to pass a verdict on particular instances. But in general, all things being equal, surprise onside kicks are worth the risk, and this case was no exception. Of course, all the Monday morning quarterbacking this week in Baltimore is focused on this play and not on BAL's successful 4th down conversion on the previous possession. Botched the score on the first edition of this post. Now corrected. We like surprise onside kicks, and we like aggressive play when behind late. I'm not sure why the call would be controversial. I wonder if there's a timing and score window where shortening the receiving team's field position will improve the kicking team's chance to hit a game winning drive even if they don't recover the onside kick. This would probably never happen, but I'd love to see a setup where a talented kicker is given the freedom to judge, based on his first few steps of the run-up, whether the receiving team is prepared for an onside kick. If the receiving team is not prepared, the kicker purposely tops the ball and the coverage team is trained to always be on the alert for a potential onside recovery. If the receiving team is properly prepared for the onside kick, the kicker boots it deep. Aside from leading to more (successful) onside attempts, this would also improve kick return coverage, because the blockers on the kicking team wouldn't dare sell out so they can drop back into their deep blocking positions. I agree, that's a great point. I've often said that teams should attempt the onside to take advantage of the not-so-disastrous field position that would result should the kick not be recovered. Otherwise, they're just booting it out the back of the end zone and essentially not taking advantage of 15 free yards. Brian, would you be able to visit that scenario? Yup. Some guys were chatting about that on the WP graph pages during Sunday's game. It would be pretty easy to make the case for it. If you didn't catch it because it didn't appear in the stats, the Bears also attempted a surprise onside kick this week, also after kicking a field goal, also after trailing by 4 points in the fourth quarter. The Bears did it with 8:44 left in the game. They succeeded in the recovery, but were flagged for (a very dubious) offsides. They kicked it deep after the penalty moved them back 5 yards, with the element of surprise now lost. Kudos to Trestman and DeCamillis for the gutsy call. "But in general, all things being equal, surprise onside kicks are worth the risk". If coaches took this admonition to heart, they would onside kick almost all the time. And then it wouldn't be a surprise anymore, eh? I guess to be rational, the frequency of onside kicks would have to reach some equilibrium where it's a little bit of a surprise, but not a total surprise. Adding to JD above... I wonder how much Kickoff Return success would change if the receiving teams were more concerned with onside kicks. Meaning, would they be able to protect the returner as well as they do now, if they changed their upfront mentality - by either placing "hands" people up front or by waiting a fraction of a second longer before they commenced their blocking formations for the returner? I've yet to see anyone try it but the odds overwhelmingly say you should do it.